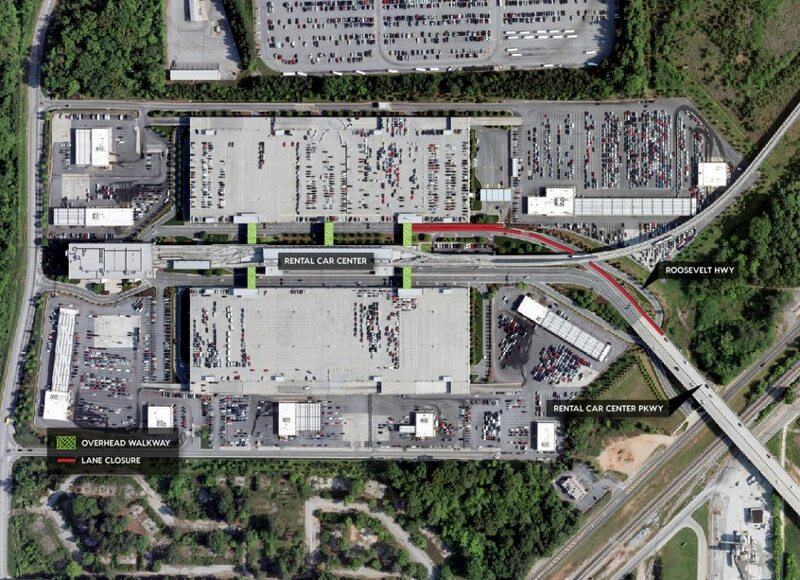 As part of upgrades to existing parking facilities, repairs have started at the Rental Car Center at Hartsfield-Jackson. The work includes rust removal and painting of the pedestrian bridges that connect the Center to the surrounding rental car parking garages. In order to make these upgrades, you can expect rotating lane closures on Rental Car Center Parkway through the end of the year as each walkway is painted one by one. Depending on the day, time, and walkway location, there may be single or double lane closures to the left or right lanes. City of Atlanta Police and traffic control professionals will be on-site to direct vehicles and ensure the safety of all employees and customers in the area.